There is nothing like an enthusiastic welcome from your dog at the end of a long day or snoozing with your cat in front of the television. Their warm presence lifts you up, extinguishes any worries you may have whirling around in your head and quite simply fills your home and life. For some people however, having a pet at home is simply not an option. This may be due to demanding work hours, their living arrangements or simply lifestyle choices that mean they are away from home and unable to look after a pet. If this sounds like you, why not consider reacquainting yourself with companion animals through volunteering? ‘’He was an important part of my family and when he passed away, we knew it would be difficult to replace him. Also, after I had retired, my wife and I became frequent travellers and didn’t feel it would be responsible to bring a new pet into our lives- particularly because we were away from home months at a time,” he said. “Working with dogs is also great way to relax and get active,” he added. Each week, the 64-year-old comes to the Home wearing his blue volunteer t-shirt (as photographed) and a big smile to match. ‘’The first thing I do is sign in and check to see if I have been assigned a dog. I then go to the enclosure and find my dog. At the enclosure we are given instructions on the appropriate leash and harness necessary for the animal we are looking after,” he said. “The aim is to assist making these dogs become ideal candidates for adoption. We do this by providing them with daily exercise, while we help them socialise with humans and also other dogs,” he added. The canine enthusiast, said he couldn’t think of any other way to better spend his time. Every day, passionate people from varying ages and backgrounds enter The Lost Dogs’ Home to generously volunteer their time and help with the daily running duties of the Shelter. Sporting our special t-shirts, volunteers can be seen walking and playing with dogs, grooming cats, working in administration and participating in events. Each volunteer plays an integral role in the daily running duties of the Home and contributes their time in a range of areas including: dog walking, assistance in the cat shelter, event, administration and gardening. Corporate volunteers are also welcome to participate. Does this sound like something you would like to do? For more information on becoming a volunteer at The Lost Dogs’ Home visit our volunteer information page, or contact our volunteer coordinator, Elena Calodoucas on (03) 9321 8786. Make your way to our YouTube channel and watch our video Volunteering at The Lost Dogs’ Home. 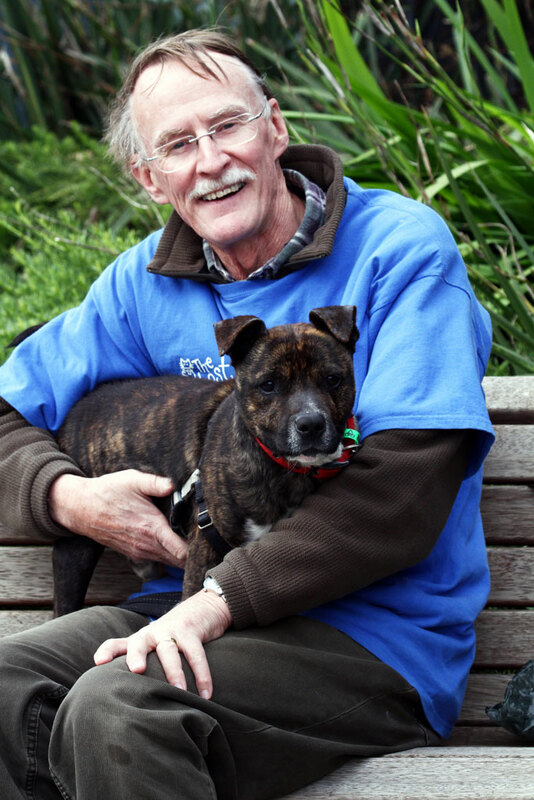 UPDATE: Murray (photographed with Peter) has been adopted into a loving home! Wishing Murray and his new family all the best!